World Tek has an experienced staff of engineers, quality control technicians and CNC machinists who work together to create products and components that meet or exceed customer standards. We operate multiple shifts to accommodate production runs and quick turn-arounds. 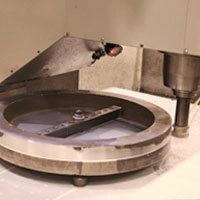 Quality is assured through first-article inspections and final inspection reports, as well as advanced CMM capabilities. Trotec Speedy 100 Fiber – 20 Watt with Rotary Attachment. Slide left and right to view machine information.